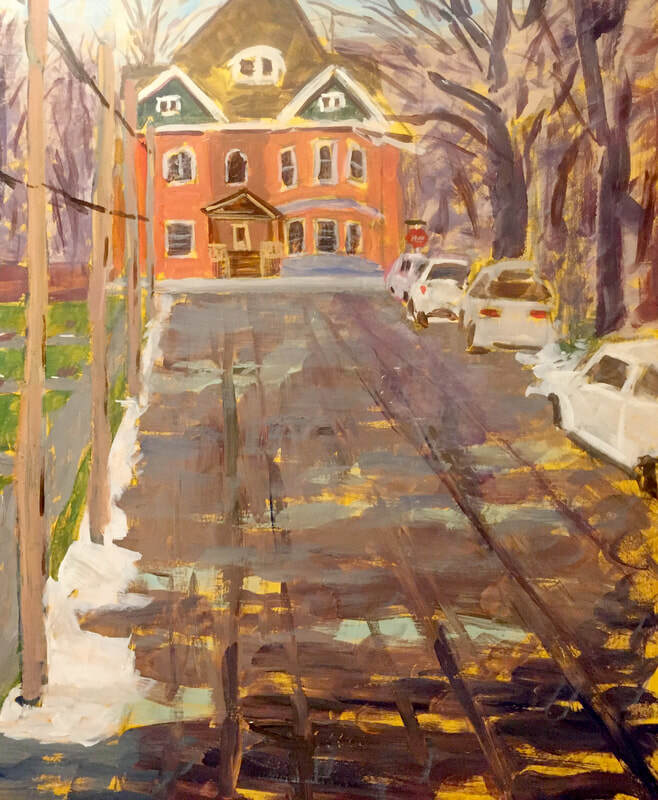 This was painted in Dundas on a beautiful partly sunny and just above freezing day in February. It was challenging because they were working on the hydro poles and huge trucks kept coming and going all afternoon. I was attracted by the way everything in this scene seems to be pointing to the big old house at the end of the street and I think that it made for a fun composition.